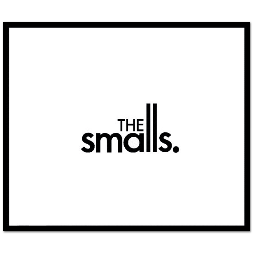 Last February, Edmonton guitar-rockers the smalls found a unique way to celebrate their 10 years together: they kicked off a month-long European tour with a few dates in that popular wintertime destination, Bosnia-Herzegovina. When bassist-songwriter Corby Lund calls from outside of Winnipeg with the claim that “We’re touring maniacs!”, he isn’t kidding. Not only did the Bosnian authorities make the smalls feel tiny, the region’s unforgiving weather got its licks in on the adventurous Canucks as well. “We were goin’ over this mountain pass to make our Sarajevo show, and there was a hell of a blizzard—like, as bad as any I’ve seen in the Rockies. The roads over there are kinda crappy, and the vehicles aren’t so good, so nobody could get over the crest of the hill. Finally the UN trucks showed up and started winching people over the hill.” When the smalls finally made it to their gig, everyone had already left; it was only the second time in their career that they’d missed a show.